The Gnu Choice is a quick release/ quick strap binding. 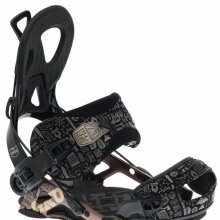 Normally this is a huge turn off because either they don’t offer a true quick strap and also don’t usually offer the same response and all around performance of the better traditional strap bindings. 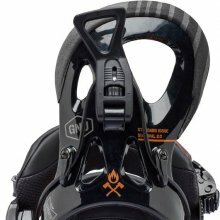 There are still many traditional strap bindings I’d recommend to people but if you must have quick strap/release bindings then I’d say Gnu is the best choice of the lot. 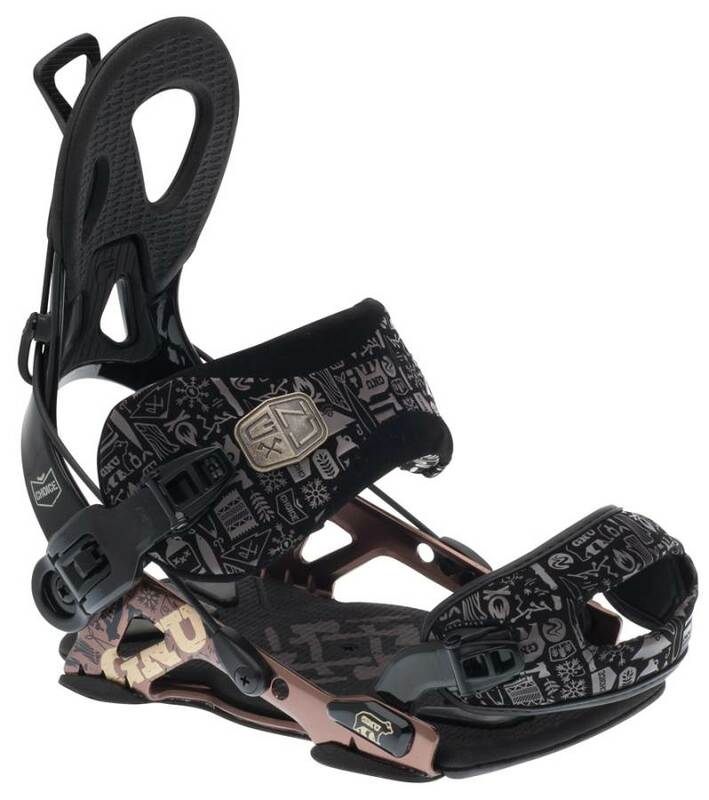 It’s mainly because they have a lot of current tech built into the binding, a traditional strap fit and with the Choice solid edge to edge response. 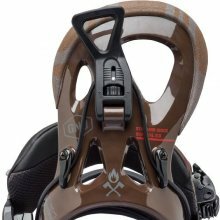 The Pressure Relief button is the best part of this binding because it’s easier to strap down. 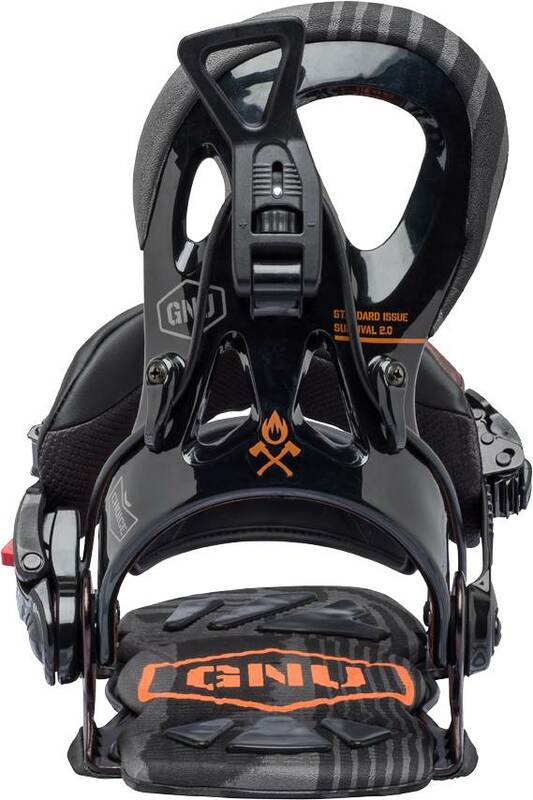 I still feel it’s easier to put on traditional strap bindings standing up but for those that sit down or get on your knees to strap might like this better. Flex: Pretty stiff and more for the person that likes a more aggressive high back. 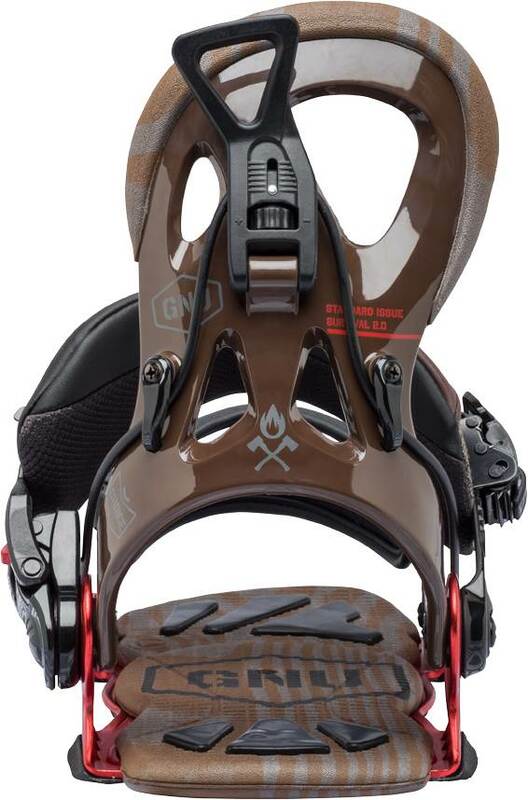 Adjustability: It takes a little time to get things dialed but when you do it’s a little easier than getting bindings on and off for most riders than Traditional strap. I’m not a fan of reaching around to my calves to pull up a high back but that’s more me than most people. 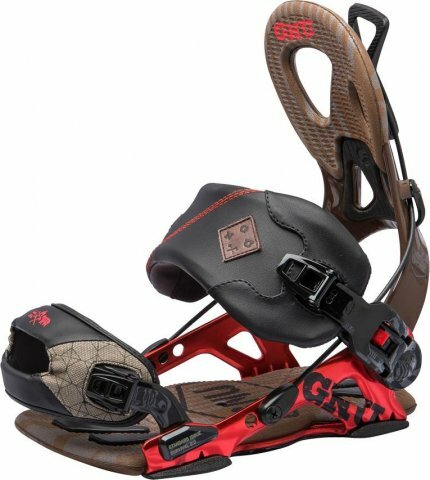 These bindings are better than most but they aren’t perfect and it can still take some secondary adjustments to get the bindings lined up. The pressure relief button worked well for me and I liked this idea. Usually with other bindings if you want to be fast they must be a little loose so there is just as much or more fine tuning with your straps as a normal biniding. There is a lot less with Gnu’s pressure relief system. Comfort: Pretty comfortable cushy ankle strap and it felt like it wouldn’t offer too many pressure points for most riders. It’s not the most plush thing out there but it’s definitely on par with the industry standard. Heel-Toe Response: Pretty quick edge to edge and the reduced dead spot offered up pretty good leverage for quick turning. 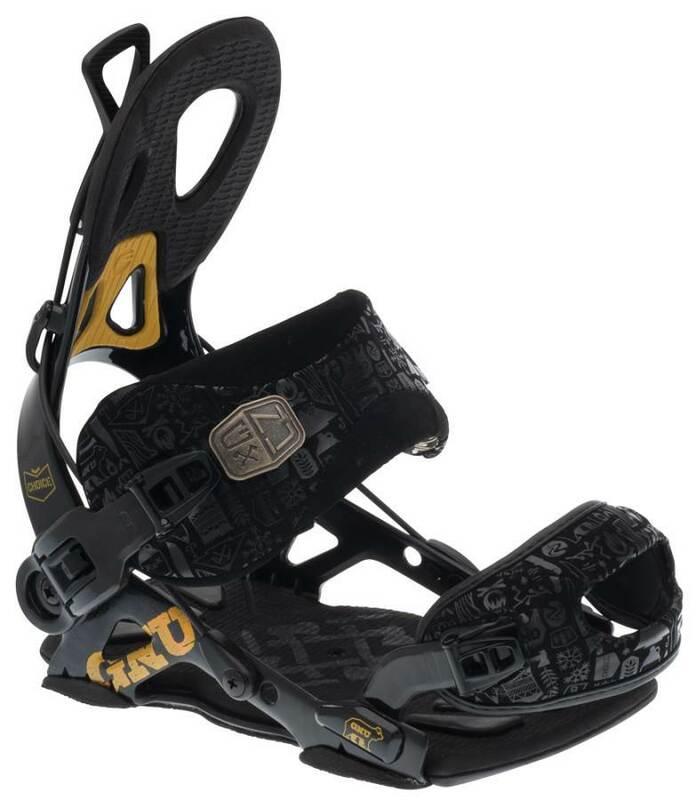 Tip-Tail Response: There is a lot of reduction in the footprint of the binding and they don’t feel dead under foot but is seems like the best response was edge to edge. It’s still pretty good to flex the board length wise with butters n such. 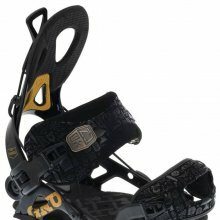 Boot Support: Pretty supportive feel and the boot felt secure with not a lot of range of movement going on. Ratchet System: Not really important here because it’s not used much. That being said it’s ok. Shock Absorption: There is some EVA Foam and Gel below and above the aluminium frame but it doesn’t feel like there is bottomless shock absorption. It did feel damp at higher speeds though. 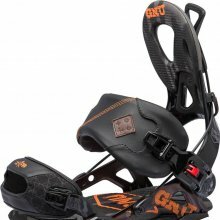 So this isn’t a binding I’d add to my quiver but I would say I’m more impressed with Gnu’s quick release than I am with the others from K2, Ride and Flow. We try to get as many images of the Gnu Choice, but forgive us if they're not all there.